Does an actor’s real-life actions affect you watching their films? Some people seem to forget that actors and actresses have real lives as well. Society is so caught up in the culture of celebrity that aspirations, expectations and assumptions can be made of the lives of the famous people we watch on-screen. This can also lead to shock and disappointment when these people are involved in actions or events which many would feel is immoral, wrong or something they fundamentally disagree with. Does this affect the viewing of their films (or TV shows) though? Can you look past the real-life actions of the stars we liked before the revelation or events they were involved in. There are some examples to help make this clear. Two of Hollywood’s biggest stars found themselves publicly associated with the Scientology movement. This article is not designed to cast judgement on the religion (although the movie Going Clear does a very good job) but there are many who find their beliefs “crazy,” “outlandish” and their actions questionable. Did association with Scientology ever affect Travolta’s career? Whether this hurt the careers of Tom Cruise or John Travolta is subjective and debatable. John Travolta had his purple-patch and his career is on a downward trajectory but did this happen because of his affiliation with the religion? Many people knew he was a Scientologist when they watched Pulp Fiction or Face/Off. Tom Cruise seemed to suffer more because of it. His association with the religion came at a time when people started to see his everyday actions as “unhinged.” It was around the time that Cruise was bouncing on a sofa on Oprah. Cruise’s star-appeal has waned and maybe that is directly linked to how the public view the actor. Maybe it is poor role choices though. Religion played a part in another actor’s downfall but in a very different way. Mel Gibson was a Hollywood superstar and almost untouchable, creating roles and performances which made him seemingly bullet-proof. Unfortunately, some choice actions around the filming of The Passion of The Christ and then choice remarks during drunken outbursts painted Gibson as an Anti-Semite. His career seems to definitely have suffered, almost being blacklisted by Hollywood and nowhere near the superstar name he used to be. Alcohol has always played it’s part in the actions of the Hollywood stars and Lindsey Lohan is a key example. The child-star seemed to go off-the-rails, as did her career but then unlike Gibson and Cruise, she didn’t seem to be making the movies people would want to see anyway, so maybe her off-screen actions had a different effect than just audiences turning-off. For others, their real-life actions don’t seem to hurt their careers at all. Both Russell Crowe and Christian Bale have been caught being violent, abusive and unruly. These actions aren’t forgotten but they haven’t tainted the careers of the actors either. This could be down to the image they hold, the “bloke” acting like a “bloke” so it is deemed OK. It could be the movies themselves, the quality of which was so good that people were willing to overlook their questionable actions. Then there is the example of the actor whose crazy real-life actions actually helped his career. Charlie Sheen had never been bigger than when he seemed to have a public breakdown on the internet for everyone to see. 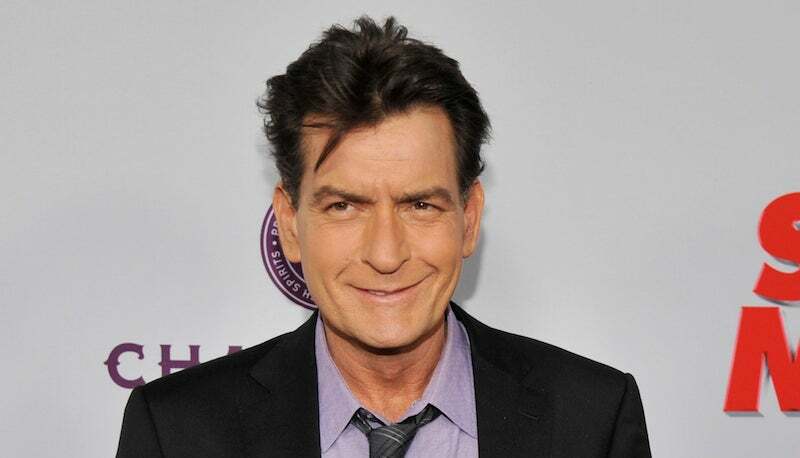 His strange one-man show, his rants about tiger-blood and “winning” and the very negative and public break from his role in Two and a Half Men didn’t hurt Sheen’s career but propelled it. People seemed entertained and it led to at least the first season of the average Anger Management sitcom being fairly successful. The backlash of this is hitting Sheen now. His sitcom has ended and the public aren’t talking about Charlie Sheen anymore. Consequently, his career seems to have stalled too. Overall, it seems it depends on the individual star to whether their actions in the real-world dictate their success on-screen. Do people turn-off when a star does something or is attached to something they don’t agree with or does it make no difference? Leave your comments below. You pose a very interesting question. For me, I try to look at the acting rather than the off screen events, though it is often the case that the two can overlap. I think I’m the same when it comes down to it. I prefer to look at the acting in the film the most. BUT..i can´t stand Morgan Freeman as he always appears as a saint and once he said he doesn´t care about his characters at all. He´s just there. That wouldn’t be enough to stop me liking r connecting with what he’s doing. I have nothing against Freeman if he doesn’t connect with his characters, he still puts in great performances, particularly in Shawshank and Seven. This is why I don’t read much about celebrities, the less I know, the better. A prime example? I cannot stand Sean Connery AT ALL because of the statements he has made about women and abuse. What a total douche. That has stuck with me for life, so I can’t even appreciate what he does because all I can think of is the fact that he is an abusive prick. Hence I rather avoid knowing too much/anything about actors/actresses outside of their work. I’ve luckily never known that much about the comments Connery has made. I think it becomes less relevant to me watching their products if they have made the comments or done the actions after the movies is made. Connery’s comments will never make me dislike his time as Bond for example. Really interesting topic! I dislike Mel Gibson quite a lot, but I think he’s fantastic as a director. When I see him on screen though, I don’t rate him. Stay behind the camera, Mel! It is a shame that he seems to be turning away from the limelight slightly. He has a film out soon so maybe that will start to rekindle his love with the business again.